Prime Minister of Georgia Bidzina Ivanishvili may pay his next visit to Azerbaijan. As Ivanishvili said at a news conference in Tbilisi on Thursday, due to postponing of the visit to the U.S., it is possible that the next visit will be paid to Baku. "This visit will be evidence of our desire to strengthen relations with Azerbaijan, and though today we have a very good relationship, we are ready to further improve them," he said. 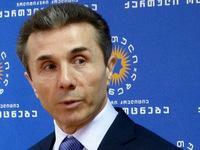 Ivanishvili said that he is grateful to Azerbaijani side for cooperation and assistance. Preserving the existing growth of trade turnover and mutual investments is a key goal for Azerbaijan and Georgia. As Georgian First Deputy Minister of Economy and Sustainable Development Irakli Matkava told Trend earlier, Azerbaijan is among the top five countries and sometimes among three largest investors to Georgia. He added that the State Oil Company of Azerbaijan with its subsidiaries is the largest taxpayer in Georgia. According to the preliminary data of the Georgian Statistics Agency, Azerbaijan invested $48.8 million in Georgia in the first half of 2012 (share of the total investment volume is 10 per cent). The Netherlands ranks first (37 per cent), followed by the United States at 11 per cent. SOCAR has invested more than $700 million in Georgia's economy. SOCAR's subsidiary - Socar Georgia Petroleum was the largest taxpayer in Georgia in 2010 and 2011. After investing $32 million in the country in 2011, it became its largest investor. Besides expanding the network of filling stations, the company invested in two major projects - the construction of the multifunctional complex SOCAR - Goodwill Auto Lounge on the Batumi-Tbilisi highway and construction of SOCAR - McDonald's centres in Batumi and Marneuli. Recently, SOCAR acquired Itera Georgia. SOCAR also has an oil terminal in Kulevi and prepares for construction of a carbamide producing plant in the country. At present there are over 100 companies with the Georgian capital in Azerbaijan, while there are 272 companies with Azerbaijani investments in Georgia. These companies have invested $454.4 million in the Georgian economy from 1996 to 2011. He said that trade relations are developing between the countries. "It is important that the goods are supplied from both sides," Matkava said. "The challenge now is to maintain the existing momentum and rapidly resolve any shortages." As of January-September 2012, the trade turnover between Azerbaijan and Georgia amounted to $512.5 million. Export hit $424 million.